Despite failing to maintain the prestige it once had, Lincoln continues to offer reasonably priced luxury automobiles that are long on posh and ride comfort but comparatively short on performance and driving panache. The 2015 Lincoln MKS full-size 5-passenger luxury sedan, still the automaker’s flagship 4-door offering, is a case in point. Still staid and stately, this plush people-hauler offers the traditional roomy cabin, along with ample trunk space (19.3 cubic feet), a choice of 2 engines and the option of all-wheel drive (AWD). The only change for the upcoming model year is an upgrade to the available Elite Package, whereby the satellite radio subscription service, including Travel Link (added to the included GPS navigation system), is extended from a complimentary 6 months to 6 years. Lincoln has a method to its standing-pat mentality insofar as the 2015 MKS is concerned; an extensive re-design, including a Ford-Fusion-based platform expected to give this top-shelf sedan a whole new look for the 2016 model year. Returning to the present, look for the 2015 MKS Base to again sport the standard 3.7-liter normally aspirated V6 engine. Managed by a capable 6-speed shiftable automatic transmission, this peppy powerplant puts out 305 hp and 280 lb-ft of torque. EPA mileage estimates, meanwhile, remain 19 mpg city/28 highway, with the Base AWD trim dropping to 18/26. Need more grunt? Take a look at the MKS EcoBoost AWD with its standard 3.5-liter twin-turbocharged V6. Again mated with the 6-speed shiftable automatic, this force-fed 6-cylinder pounds out 365 hp and 350 lb-ft of torque to the tune of an EPA-estimated 17/25. Towing with either powerplant is maxed out at 1,000 pounds, though these land yachts might look sort of silly towing a U-Haul. However, on a more down-to-earth note, the next-gen MKS is expected to feature a 9-speed automatic transmission that should improve both power and fuel efficiency. Meanwhile, the V6 powerplants are expected to return for 2016, but will be joined by a new 2.0-liter EcoBoost (turbocharged) inline 4-cylinder (I4) engine. Posh-wise, standard features in the Base MKS for 2015 include 19-inch painted alloy wheels, premium leather upholstery, heated power-adjustable front seats, full power accessories, cruise control and telescoping tilt-wheel steering. Of course dual-zone auto climate control also returns, along with an auto-dimming rear-view mirror and memory for driver's settings. Front and rear parking sensors will be complemented once again by a rear-view camera and remote garage door opener. Bluetooth-integrated Sync destination download returns bolstered by MyLincoln Touch voice-activated infotainment with WiFi capability and smartphone apps. Entertainment, meanwhile, remains offered via a standard 210-watt stereo with CD player, 10 speakers, satellite radio and auxiliary audio input via USB ports. The 2015 MKS EcoBoost AWD, meantime, adds not only the turbocharged V6 but also standard 20-inch wheels. Otherwise, it mirrors its less powerful brethren in regards to perks. The available Elite Package includes blind-spot warnings, massaging front seats, power-adjustable pedals, a 16-speaker premium audio system, GPS navigation and genuine wood cabin accents. Further options include a Cold Weather Package sporting a heated steering wheel and heated rear seats, as well as the Technology Package with adaptive cruise control, forward-collision warnings, lane-keeping assist and automated parallel-parking assist. Meantime, standalone options again include a dual-panel moonroof with power sunshade, portable rear-seat DVD entertainment and remote engine start. Finally, safety features aboard the 2015 MKS include 4-wheel antilock brakes (ABS), front side-mounted airbags, front and rear head airbags, front fog/driving lights and self-leveling high-intensity-discharge (HID) headlights. Ford’s touted MyKey teen-oriented programmable speed-and-audio-governing system also remains standard, as does Sync emergency telematics. Additionally, a standard post-collision safety system returns for the upcoming model year, in addition to a remote antitheft alarm. 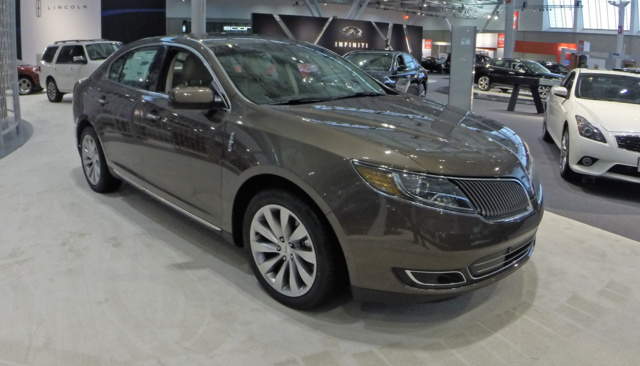 What's your take on the 2015 Lincoln MKS? Richard To my recent surprise I bought one in June, An excellent car!!!! Quiet, solid build quality and a plus for Lincoln. As is our also new MKZ 2015 model. Montego_4505 My '02 LS has only 55K miles, and I've despaired of finding an '06 with under 30K. I was interested in a used '17 Continental until reading about dubious novelties like no inside door handles (electronic push-buttons); no transmission stick (gear changes with vertical push-buttons); and narrow. uncomfortable seats. MKZ looks like an updated Zephyr. So I'm wondering if a lo-mileage MKS might be the ticket--a no-nonsense Continental surrogate. 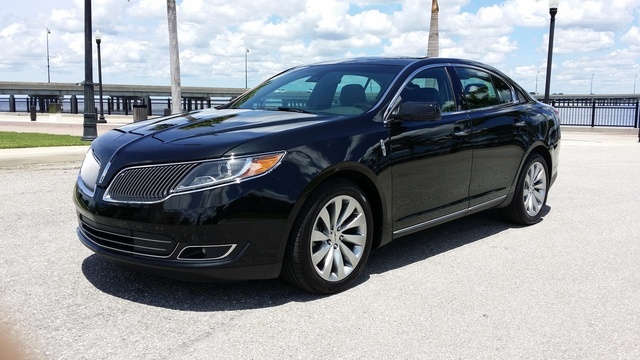 Have you driven a 2015 Lincoln MKS? Recently purchased a 2015 Lincoln MKS and love the car except for the automatic high beam headlight control, which is switching way to close to oncoming cars. Can it be disabled or fine tunes?